Here at Team Aro, we can’t believe how quickly last year went by. We’re sure you have a list of resolutions you’re already working on, and you’ve come to the right place if selling your home is one of them! In today’s post, we’ll provide you with a few effective tips that can help you sell your home quickly. Team Aro is proud to be Gig Harbor’s premier real estate team, and we would love to help you maximize your home’s value and take the hassle out of your move. Read on to learn more about how you can set yourself up for success, and get in touch with our Gig Harbor Realtors® if you plan on selling your home this year! One of the most effective ways to make your home more appealing to potential buyers is to open your blinds and fill your home with as much natural light as possible. The Gig Harbor weather can be a bit dark at times, and you don’t want someone to feel like they’ve entered a Vegas casino when they arrive for a tour. If your home doesn’t have much in the way of natural light, then opt for some soft white LED lights to make your space a bit warmer and more inviting. 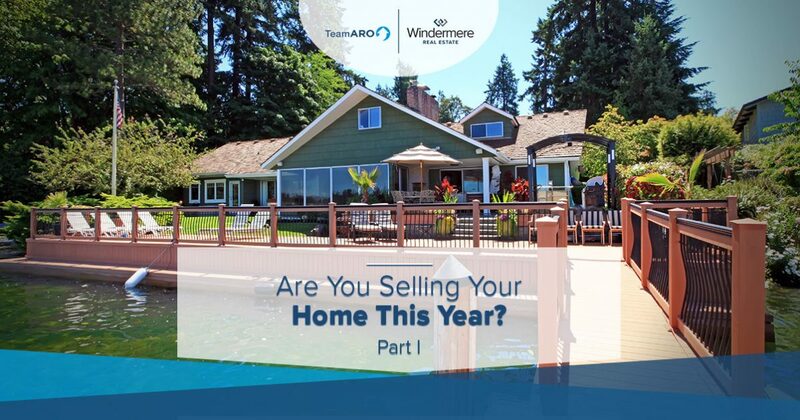 As Gig Harbor Realtors®, we know which techniques work and which ones don’t when it comes to selling a home. While you’ve probably decorated your home with artwork, family photos, sports memorabilia, and other personal effects that create a welcoming, personalized atmosphere, leaving everything on display can be distracting at best and deterring at worst. You want people to be able to picture themselves living in your home, and while tasteful furniture and accent pieces are fine, you may want to consider storing the rest of your decor in a short-term storage unit. You can pre-pack anything that you’d like to move to your next home, and you can also toss or donate any items that you’d prefer to leave behind. You’ve almost certainly been looking through various properties online, and both local and long-distance buyers will be doing the same thing. You don’t want your home’s beauty to be compromised by poor photos, and one of the best ways to show off your home is to hire a professional photographer. At the end of the day, selling a home can be both complicated and stressful. Instead of navigating the real estate market yourself, get in touch with a Gig Harbor Realtor® from Team Aro. With years of experience, glowing testimonials, and an impressive track record, checking “list and sell my home” off of your list of New Year’s resolutions has never been easier. Are you ready to get started? Get in touch with us today to tell us more about your property! We look forward to speaking with you soon.